Salt (Sodium Chloride) in solid form is composed of sodium ions (Na++) that are chemically bonded to chloride ions (Cl—). That gives us the formula for salt, which is NaCl. One ion of sodium connected to one ion of chloride. When mixed in water, the bonds between sodium and chloride weaken. You get Na + Cl + H20. The sodium ions remain chemically attracted to the chloride ions, but the ions themselves are separate from each other. Think of it as two dancers, they remain facing each other, but they move around, bump into each other and swirl about. 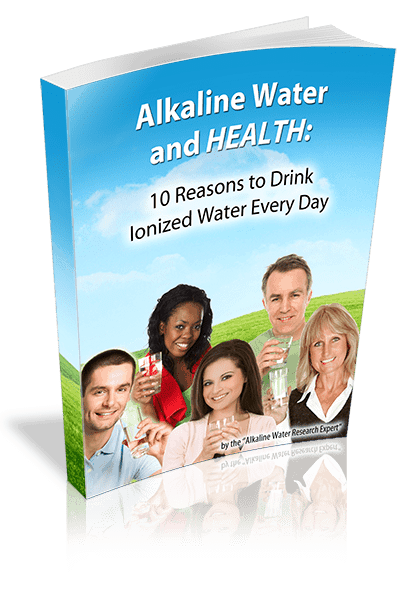 Alkaline water from a water ionizer is ionized by the minerals in it, and the hydroxyl ion. 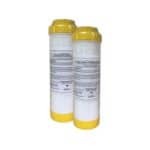 The alkaline minerals come from hard water salts – calcium carbonate and magnesium carbonate. 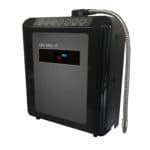 What a water ionizer does is split the calcium and magnesium ions apart from the carbonate ions (dissolved CO2) using a process called electrodialysis. Calcium and magnesium are unstable in water. In fact, if you throw a chunk of calcium or magnesium into water, you will cause an explosion! This happens because calcium and magnesium will literally rip water molecules in half. When water molecules are split by calcium or magnesium, it releases hydrogen gas. That’s where the explosion comes from! Fact: The amount of hydrogen produced by a water ionizer is small, so there is no risk of explosion in this process. The solution of alkaline mineral ions and hydroxyl ions in water are called mineral hydrates by chemists. 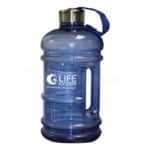 These mineral hydrates give alkaline water its healthy properties. The FDA recognizes calcium hydrate and magnesium hydrate as valuable nutrients. In fact, calcium hydrate is commonly used to fortify infant formula and orange juice with calcium! 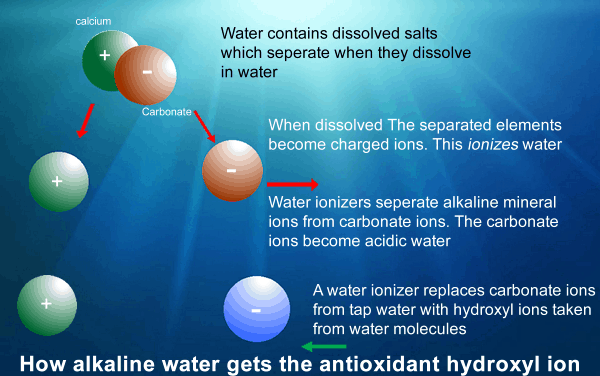 If you evaporate alkaline water from a water ionizer, you will be left with a white residue. That residue is the mineral hydrates in their solid form – mineral hydroxides. You can test the pH of these mineral hydroxides by mixing them in distilled water. If you do, you will find that they are highly alkaline because the mineral hydroxides (mineral hydrates in liquid form) are where alkaline water gets its alkalinity from. The chemistry of alkaline water is complex. If you need help understanding what makes alkaline water the healthy beverage that it is, call us today at 877-959-7977. We’re here to help.